JLL has appointed Iwona Chojnowska-Haponik and Rafał Szajewski as directors in its EMEA business and location consulting team. Deciding where to locate a business is critical to competitiveness and success in a rapidly changing world, particularly as real estate plays a key role in the growing war for talent. 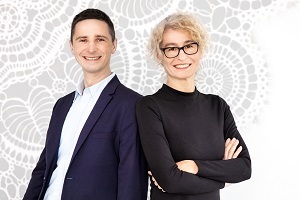 In their new roles, Iwona and Rafał will help clients optimise their location strategies across the EMEA region, navigate through regulatory changes, and secure the appropriate funding support. Both Iwona and Rafał will be based in Warsaw, Poland, from where they will lead projects across the region. They bring with them an extensive understanding of EU and international state aid regulations, the available funding programmes across the region, eligibility criteria, and submission procedures. They were also involved in shaping part of the Polish incentives system. Iwona has over 15 years’ experience working with the Polish Investment and Trade Agency, where she was responsible for promoting Poland as an investment destination. Prior to joining JLL, Rafał, spent 12 years at the Polish Information and Foreign Investment Agency, where he consulted for large global corporates in the financial services and technology sectors. Matthijs Weeink, Head of Business Location Consulting at JLL, EMEA, commented: “Making business location decisions has never been more complex, given that in the war for talent, location is crucial. We are delighted to have Iwona and Rafał on board, their skills and regional expertise will only strengthen our ability to offer market-leading insights to clients”.